It's the stuff of movies – literally. A baby dolphin lost her tail after it became entangled in a crab trap in 2005. A world-renowned prosthetic expert stepped in to create the first prosthetic tail for a dolphin. The real life survival story of that little dolphin named Winter and her innovative prosthetist Kevin Carroll, vice president of prosthetics for Hanger Clinic, has come alive on the silver screen in the "Dolphin Tale" feature films starring Morgan Freeman, Ashley Judd, Kris Kristopherson, and Harry Connick, Jr.
An American Board Certified prosthetist with more than 30 years' experience as a practicing clinician, visionary researcher, and skilled educator, Carroll travels daily both nationally and internationally educating clinicians and prosthetic users who work with and who are the most challenging amputation cases. Carroll has appeared internationally on news broadcasts such as Dateline, 20/20, CBS Early Show, NBC Nightly News, ABC's Good Morning America, and the Discovery Channel. Carroll will be in town to educate local amputees; showing them what's available with prosthetic technology and what's on the horizon. When not taking care of his human patients, Carroll volunteers weekends to the Clearwater Marine Aquarium where, alongside his colleague Dan Strzempka, he works with Winter, the young Atlantic bottlenose dolphin who got caught in a crab trap near Cape Canaveral when she was just three-months-old. Her tail fluke eventually came off, as it was severely damaged by the trap's rope entanglement. Winter received round-the-clock medical attention to save her life. Having survived, she adapted to a less efficient, damaging side-to-side swimming style, as there was no tail fluke to give her thrust. Thanks to Carroll and Strzempka's ingenuity, Winter became the first dolphin to have her entire tail fluke replaced with a prosthetic device. Additionally, the unique levels of research and development necessary to fit a prosthetic tail on a dolphin resulted in the development of WintersGel™, a new gel material that is benefiting human amputee patients worldwide. Released nationwide fall 2011, Winter's story was shown on the big screen in a 3D family movie titled "Dolphin Tale". Playing a prosthetist, Morgan Freeman portrayed the prosthetic work completed Carroll and Strzempka. The movie trailer which includes an interview with Carroll is available here: http://www.youtube.com/watch?v=J2zQIgcxkQ4. The sequel to the movie, "Dolphin Tale 2", was released in theaters nationwide September 12, 2014. Media Note – Carroll is available for phone interviews prior to his visit to Hattiesburg Monday – Friday upon request. High resolution photographs and professional b-roll footage of Carroll working with the dolphin are available for download: https://hanger.box.com/WinterDolphin. 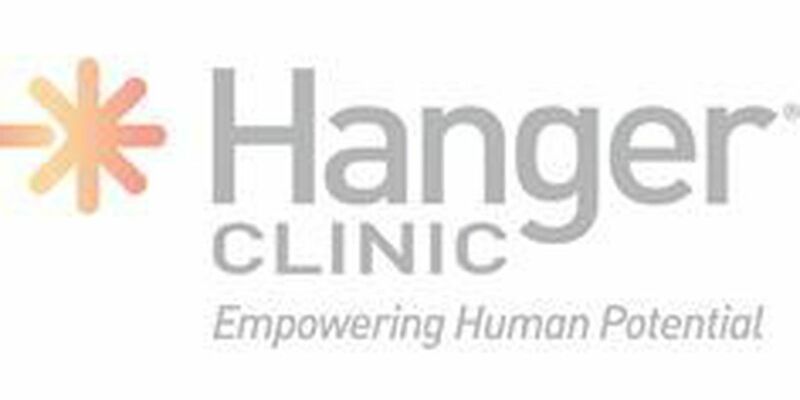 About Hanger: Founded in 1861 by the first amputee of the Civil War, Hanger Clinic, a business unit of Hanger, Inc. (NYSE: HGR), owns and operates 13 patient care centers in Mississippi. The certified clinicians of Hanger provide patients with the latest in orthotic and prosthetic solutions, including microprocessor devices for those with limb loss and neuromuscular technologies for those with paralysis due to stroke, MS and other debilitating conditions. For more information on Hanger, visit www.hangerclinic.com, and follow us at www.Facebook.com/HangerNews and www.Twitter.com/HangerNews.